Today is the deadline for British investors to apply to buy shares in the Royal Mail, the world’s oldest postal service. What a contrast to the sorry state of the US Postal Service, which is losing billions of dollars a year, and has been repeatedly bailed out by taxpayers. The IPO here in Britain has been a hit. The London Daily Telegraph’s front page headline declares that there has been a “Scramble to buy Royal Mail shares.”. Following the lead of several other European governments in recent years, Britain is taking the postal service private, saying the system needs to modernize. “It needs to be able to invest in its future,” says business minister Michael Fallon. “Like any big business it needs to access the capital markets” so it can raise the money it needs. Unlike the USPS Britain’s Royal Mail makes a profit. Recent innovations have included selling off large buildings and combining local post offices with other businesses in the same stores. This lovely site serves as a gathering place for the community. Something like it should be tried back home. Post Office/ cafe/ newsstand and coffee shop near Kings Cross Station, London. It’s past time for the US Congress to allow the Postal Service to be run as a business so that it can survive and prosper well into the 21st century. They did this in Germany – I guess successfully. It was also very handy to have a post office in the supermarket or at the train station, instead of in some remote place. 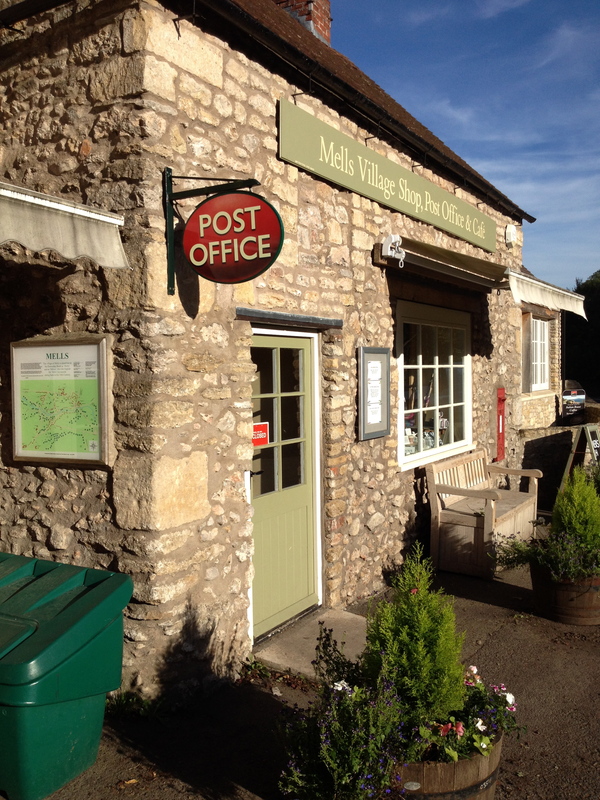 Mells looks … lovely. They are trying all kinds of things in Britain. 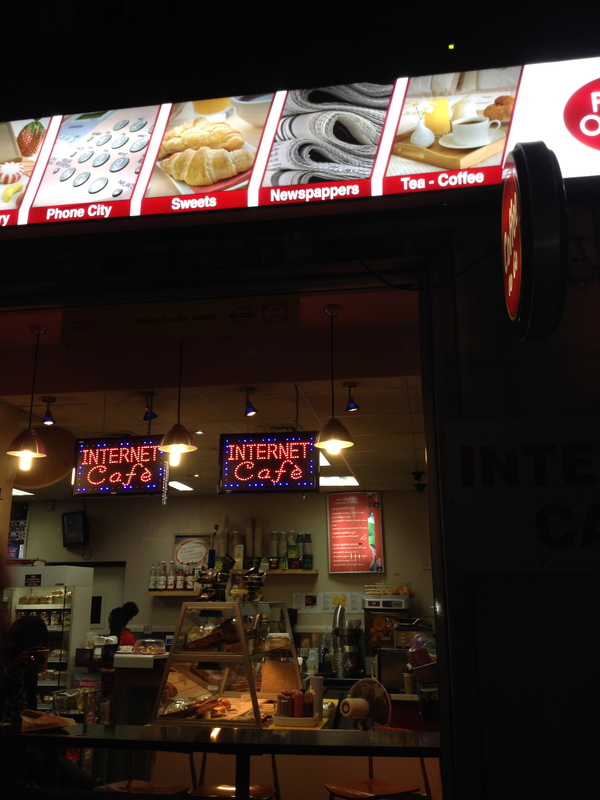 I will post a photo of a post office/ Internet cafe/ late night sandwich shop near my hotel in London. What is so sad about the US postal system is the failure of Congress to consider new ways of thinking about what is possible.